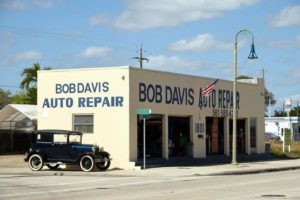 Bob Davis Auto is conveniently located at the crossing of 18 Ave North and Dixie Highway near Downtown Lake Worth. Serving Lake Worth, Boynton Beach, West Palm, Delray Beach and surrounding areas. Bob Davis Auto Repair is Father and Son owned and operated business. Located near downtown Lake Worth, Bob’s Auto is your one stop for any Japanese and Domestic car repair and TIRE purchase. Serving Palm Beach and Broward Counties.